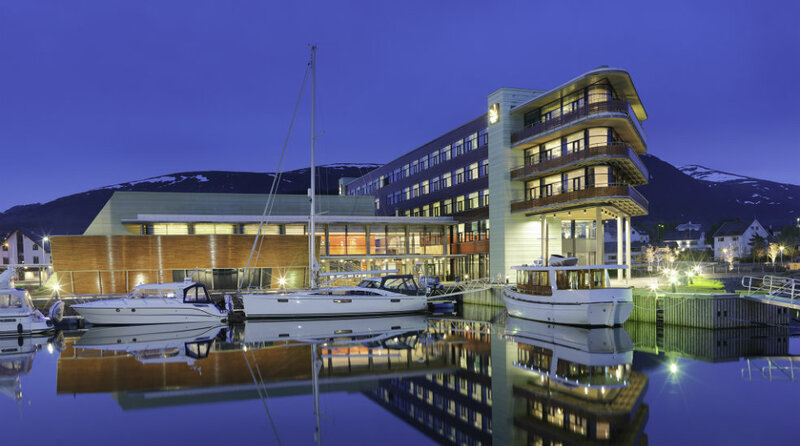 Ulsteinvik is beautifully situated by the water, surrounded by islands, islets and the idyllic landscape of the archipelago. We organise all kinds of excursions including sightseeing in the archipelago, fishing trips with plenty of fresh sea air and exhilarating RIB boat rides. Or perhaps you like the idea of renting one of our smaller boats to explore the area on your own? In addition to this, you can also rent boats (max. 6 people) from the hotel so you can explore the area (or even fish) on your own! All the necessary equipment is provided. We also have 4 bicycles for rental. How about a trip to the Ishavsmuseet Aarvak (The Arctic Museum) or the Herøy Coastal Museum and Herøy Gard? Or even a trip to Ulsteindalen's «Kraftstasjonen», an electric power station that was built in 1917? What's certain is that real adventure awaits you here!